Vehicular pollution is at an all-time high, and India’s crude oil imports amount to Rs 7 lakh crore annually. This has prompted the authorities to consider greener, alternative means of transport. According to media reports, ISRO’s lithium-ion battery technology may soon be available for commercial use in e-vehicles. A panel headed by cabinet secretary PK Sinha has made the recommendation. The panel has advised that “ISRO may consider transferring” its lithium-ion battery technology to interested parties on a “non-discriminatory basis for commercialisation with a ‘Make in India’ condition.” Only the approval of the space commission and other authorities is required. However, battery makers will be expected to pay Rs 1 crore as a one-time technology transfer fee. The committee of secretaries recommends that the Power Ministry should look into “requisite power tariff and access policies,” for enabling development of charging infrastructure and consult with the Central Electricity Regulatory Commission and others concerned, for the same. The panel, according to some, is on a mission to increase the use of zero-emission vehicles, amidst India’s growing dependence on oil, and deteriorating air quality. This move comes as a relief because as of now, Li-ion batteries are not manufactured commercially in India, and are imported from Japan or China. This is perhaps what prompted Niti Aayog member VK Saraswat, to remark that India needs to step up Li-ion battery production. The committee met on 8 January 2018, to discuss a viable strategy to increase the use of e-vehicles, and other technologies, to reduce emissions. The meeting was attended by several prominent dignitaries, including representatives from the department of space and cabinet secretariat. A mission under the Niti Aayog scheme, and an umbrella policy for driving the program to boost the use of zero-emission vehicles. An examination by the Ministry of Petroleum and Natural Gas, of the possibility of leveraging the existing retail network of oil marketing companies, to scale up public charging infrastructure. An advisory, by the Ministry of Road Transport and Highways, to states, ensuring that the registration of Zero Emission Vehicles is facilitated. Steps to ensure leadership and inter-ministerial coordination in the monitoring structure suggested by the Niti Aayog. Disney employees would receive $1,000 bonus ! More than 125,000 employees at Walt Disney Company across the globe will each receive a $1,000 cash bonus, the company announced Tuesday. The company will also invest $50 million to help hourly employees pay for college tuition starting with the upcoming fall semester, company chairman and chief executive officer Robert Iger announced Tuesday. Nearly 88,000 employees are eligible. “I have always believed that education is the key to opportunity; it opens doors and creates new possibilities,” Iger said in a statement. “Matched with the $1,000 cash bonus, these initiatives will have both an immediate and long-term positive impact.” Several large American companies have planned bonuses for employees recently. More than 67,500 Florida workers at Wal-Mart and Sam’s Club will get paid $105.7 million in increases and bonuses, the company announced earlier this month, while also closing some Sam’s locations. Orlando-based Darden Restaurants said earlier this month the new GOP tax cut will prompt it to spend an additional $20 million on its 175,000-plus employees this year, but did not give specifics. Huggies’ owner Kimberly-Clark to close 10 factories ! Kimberly-Clark, the maker of Huggies diapers and Kleenex tissues, announced Tuesday it will cut about 13 percent of its workforce globally, or at least 5,000 jobs, in a bid to reduce costs as sales wane. The company plans to shutter or sell 10 of its 91 production factories worldwide. In all, it is anticipating more than $2 billion in cost cuts by 2021. About $1.5 billion will come from reducing costs within its business. An added $500 million to $550 million will come from the efforts to streamline its manufacturing supply chain and overhead. For years, consumer companies have enjoyed what has been widely considered to be overly optimistic stock prices. Now, the names are grappling with the reality of a new landscape. These companies must find growth to match up with investors' expectations, but are faced with changing shopping habits and competitive pressures. Making matters worse, retailers are cutting prices in a fight for market share. Retailers like Target and Costco need to attract shoppers to their stores rather than having consumers buy their staples online. Meantime, retailers like Walmart, Aldi and Lidl — all known for low prices — continue to open new stores and increase their influence. Procter & Gamble on Tuesday acknowledged that discounting aimed at boosting its Gillette razor business had eaten into its sales. As one of the biggest consumer products companies, P&G's prices often set a bar for its competitors. P&G, with its Pampers brand, and Kimberly-Clark, with its Huggies, are fierce competitors in the diaper aisle. Adding to the pressure, Amazon has launched a private-label diaper business. Diapers are a good example of a product shoppers tend to refill on a routine basis. Increasingly, shoppers see this as a category that is more convenient to buy online. Kimberly-Clark is weighing the sale of its consumer tissue business. The segment, which includes its Cottonelle and Scott toilet paper brands, comprises roughly 1 percent of its sales. Kimberly-Clark would join a number of its consumer peers like Unileverand Nestle that have looked to shed underperforming businesses as scrutiny intensifies. "The changes we are making will improve our underlying profitability, provide more flexibility to invest in growth opportunities and help us compete even more effectively," Chief Executive Officer Thomas Falk said in prepared remarks. Shares of Kimberly-Clark were up less than 1 percent midmorning Tuesday. For the fourth quarter of fiscal 2017, Kimberly-Clark reported net income of $1.75 per share, compared with $1.40 one year ago. After excluding items, the company earned $1.57 per share. Net sales climbed 1 percent, to $4.6 billion, while North American sales dropped 2 percent. Analysts expected the company to earn $1.54 per share, on revenue of $4.6 billion, according to Thomson Reuters. Selling prices fell 4 percent in the latest period, Kimberly-Clark said, which consisted of greater promotional activity in most categories. Net sales in fiscal 2018 are expected to increase 1 to 2 percent. 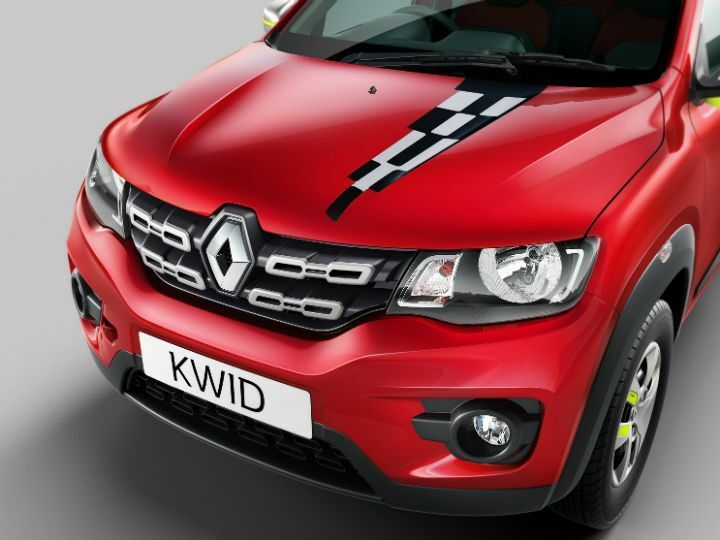 Renault has issued a recall for its entry level car, the Kwid 0.8-litre. The issue stated is with the steering assembly of the Kwid, which would be inspected and fixed free of cost. Renault hasn’t yet announced which lot of cars have been affected but it is contacting individual customers whose cars are part of the recall. Also, this is confirmed for the 800cc models but since both the cars (0.8- and 1.0-litre) use the same electronically assisted setup, it is advised that 1.0-litre Kwid owners also get in touch with their nearest dealership. Renault recently launched the Live For More 2018 Reloaded Edition for the Kwid. It gets 10 new cosmetic updates and is available in the top three variants. Updates include chrome inserts on the grille, new ‘Speedster’ graphics and the Climber’s roof rails. The Speedster graphics are present on the bonnet, side panels doors and the boot gate. That’s not all, there are bright lime graphics on the ORVMs and wheel covers. But if you still want more, ‘Live For More’ insignia on the doors should round things up. The Kwid LFM is offered with reverse parking sensors as standard. Powering the Kwid is a 0.8-litre, 3-cylinder motor which produces 54PS of power and 72Nm of peak torque. This engine comes with a 5-speed manual transmission. The other engine is a 1.0-litre petrol producing 68PS/91Nm and comes mated to either a 5-speed manual or a 5-speed AMT. The biggest selling point of the Kwid is its SUV-inspired looks, the 7-inch touchscreen which is shared with the big guns like the Duster and the Captur, and the boot space of 300 litres, which is much larger than even hatchbacks from a segment up. The Kwid rivals the likes of the Maruti Alto and the Datsun redi-GO. The WhatsApp Business app is the initial entry point in this market. Aimed at smaller businesses, the free app – Android-only for now – helps companies better connect with their customers and establish an official presence on WhatsApp’s service. Essentially, it’s the WhatsApp version of a Facebook Page. The company had previously announced the app’s arrival, and begun verifying business accounts as part of its WhatsApp Business pilot program back in September 2017. Verified accounts were given a green checkmark as a means of demonstrating their authenticity. With the new WhatsApp Business app arriving today, small companies can set up their WhatsApp Business profiles by filling out information like a business description, email, address and website. WhatsApp says people will know when they’re talking to a business because these accounts will be listed as “Business Accounts.” Over time, some of these will become “Confirmed Accounts,” after WhatsApp verifies the account phone number it registered with matches the business phone number. Once established on the WhatsApp network, businesses can then use a series of tools provided by the app, like smart messaging tools that offer similar technology as what you’d find today in Facebook Messenger. For example, the app offers “quick replies” that provide fast answers to customers’ frequently asked questions; “greeting messages” that introduce customers to the business; and “away messages,” that let customers know you’re busy. Businesses will also be able to access messaging statistics, like number of messages read, and they can send and receive messages from the desktop via WhatsApp Web. While businesses will need to use this new app to communicate with customers, for the general WhatsApp user, there’s no change. They’ll be able to message businesses but can control their experience by blocking numbers and businesses, as well as report spam. In addition, businesses will only be able to contact people who provided their phone number and agreed to receive messages from the business, the company had previously said. The Business app will later be joined by an enterprise solution aimed at large businesses with a global customer base – like airlines, e-commerce sites, and banks, WhatsApp had said last fall. It didn’t announce any news regarding this solution today, but in the past the company said it would charge for these enterprise tools. Presumably, they’ll be built on top of the current WhatsApp Business core product. The company also indicated today how critical it is to address the needs of businesses on its service, which now reaches 1.3 billion users. According to data it cited from Morning Consult’s research, over 80 percent of small businesses in India and Brazil said that WhatsApp helps them communicate with customers and grow their businesses. WhatsApp declined to say how many businesses are today active on its app, when asked. At launch, the WhatsApp Business is available as a free download on Google Play in supported markets. WhatsApp didn’t offer an ETA on when the Business app would rollout to worldwide markets beyond “the coming weeks,” or when an iOS version would arrive. However, the company did confirm to us that – while it prioritized Android after researching with businesses where WhatsApp is used prominently – it does plan to support other platforms in the future. Apple and Samsung are under investigation ! Italy’s antitrust organization has launched two separate investigations against Apple and Samsung over accusations of planned obsolescence. The Autorità Garante della Concorrenza e del Mercato, or AGCM, is trying to determine whether the two popular smartphone manufacturers are using software updates to slow down devices in order to influence customers to upgrade their phones. According to the group, Apple and Samsung may not offer enough information to customers as to the effects of software updates, and don’t offer details as to how installing them may slow down devices, which it says could violate several articles of Italy’s consumer protection code. There’s no mention made to Apple’s recent admission that iOS software is intentionally slowing down phones with older batteries in order to maintain a usable level of performance, but it’s hard to imagine that the issue isn’t at least part of the impetus for the investigation. Apple is already facing a criminal probe over the battery slowdown issue in France, where planned obsolescence is illegal. Apple CEO Tim Cook said this week that the next iOS update will allow users to disable the slowdown if they choose, and provide more transparent information as to the health of users’ batteries. App insights company App Annie has claimed that an average user in India holds nearly 80 apps and accesses over 40 of them. The company, in its 2017 Retrospective Report, also highlights that there has been a 60 percent growth in the total number of app downloads globally from 2015, with a total of more than 175 billion downloads in 2017. Alongside India, mobile users in China and Japan are reported to have over 100 apps on an average. The consumer spends on apps exceeded to $86 billion in 2017, marking over 105 percent of growth from 2015, while each user on an average spends about 43 days per year in apps. App downloads, particularly in India, have surged 215 percent in 2017 than 2015. This has made the country overtake the US and become the top second country by downloads. App Annie also highlights that there is a significant volume of absolute downloads in mature markets, including the US. In India, the top 10 most downloaded apps were WhatsApp, Facebook, Facebook Messenger, Truecaller, SHAREit, MX Player, UC Browser, Amazon, Paytm, and Instagram. The Paytm app is notably the only homegrown app on the most downloaded apps list. App Annie believes that the demonetisation drive by the Indian government and the arrival of Unified Payments Interface (UPI)have significantly contributed in the growth of the Paytm app that received over 30 percent usage penetration among Android phone users in the last year. Also, apps such as PhonePe, Jio Wallet, and Google's Tez are considered to further shake up the market. In addition to wallets, App Annie states that after the debut of Reliance Jio, video streaming in India has received explosive growth - with video consumption increased more than six times since the first half of 2016. The increase in the adoption of video content has pushed the usage of video streaming apps, especially making Hotstar one of the most used video streaming apps in the world. "Emerging markets such as India and Brazil are in the early stages of app maturity. Vast download numbers are driven by new smartphone owners discovering and experimenting with new apps," App Annie said in the annual report. When it comes to the leading market for apps, App Annie claims that the Chinese app market has surpassed other countries and become the world's largest app market. Just in the fourth quarter in 2017, Chinese app users are found to have spent over 200 billion hours in apps across Apple App Store, Google Play, and third-party Android stores. Indian users, on the other hand, are reported to have spent almost 50 billion hours in apps during the same time frame. Furthermore, App Annie team says that $1 out of every $4 from various apps stores, in-app ads, and mobile commerce is generated by the Chinese market. It is important to note that the majority of China's most-used apps are found to be published by Chinese companies, though some of them are entering the global market as well. App Annie reports that the number of apps available across Google Play and Apple App Store expanded to more than six million. "In response, app marketing, particularly app store optimisation and paid user acquisition, has become increasingly critical for those looking to stand out," the company added. Samsung has not confirmed a release date for the Galaxy S9, but it did recently confirm its unveiling in February. This makes Blass’ claim of a March release for the Galaxy S9 quite plausible. The schedule is very similar to how Samsung has released smartphones in the past: The Galaxy S8 was delayed until April 2017 due to safety concerns, but the Galaxy S7 was announced in late-February and released in mid-March of 2016, as were several older devices in the Galaxy-S series. If there are any exciting features on the Galaxy S9, news about them may still be under wraps. So far, most details about the smartphone pretty much suggest the Galaxy S9 is an incremental update. Samsung has confirmed consumers can expect updates to its Bixby AI assistant feature, particularly making its interface easier for users to navigate. Several leaks also suggest Samsung may also make some design tweaks to the device that will make it easier to use. The Galaxy S9 is expected to feature a rear-facing fingerprint scanner placed in a centralised location, which would make it easier for users to find. Currently, the Galaxy S8 fingerprint scanner is located to the right of the camera module. Many users say the placement isn’t ideal in terms of natural hand placement. Other leaks suggest the Galaxy S9 may include new camera features, such as a super slow-mo video capture function. Samsung may also take a cue from Apple by including a single-lens camera on the standard Galaxy S9 and a dual-lens camera on the Galaxy S9+. Consumers should also expect other well-known features on the Galaxy S9, such as water- and dust-resistance and wireless charging. Recent reports suggest Samsung likely won’t make any updates to the battery capacity on the Galaxy S9, though prior rumours indicated there could be a slight power bump. With no changes expected for the display size or display quality of either the Galaxy 9 or Galaxy S9+ models, an increase in battery power may not be necessary. Leaks have also suggested that memory and storage capacity on the Galaxy S9 will likely remain similar to what is seen on the Galaxy S8. Samsung is also known for including expandable storage on its devices, which should also be expected for the Galaxy S9. For now, it seems likely that the Galaxy S9 will retain the traditional 3.5mm headphone jack at a time when several manufacturers, including Apple and Google, are releasing premium smartphones without a headphone jack. There is evidence, however, that Samsung has considered removing the headphone jack from the Galaxy S9. Some rumours suggest the Galaxy S9 could include facial-recognition features similar to Apple’s Face ID and Animoji on the iPhone X; however, Samsung already has its own iris scanner and facial-recognition features on its current smartphones, which could easily be adopted onto newer models. Suggestions for the feature arose when Samsung announced that its Exynos 9810 chip, which may be included in the Galaxy S9, would be able to power those facial-recognition capabilities. Another rumour suggests there could be a Galaxy S9 model featuring eight times the internal storage capacity included on current Galaxy devices. News of this feature arose when Samsung announced it has developed a 512GB capacity for onboard storage, to allow devices to support large multimedia files, particularly high-quality videos. Samsung also recently released the Galaxy A8 smartphone , which includes a dual-lens front-facing camera that made us wonder if the Galaxy S9 could have such a feature. However, it appears dual-camera set may be exclusive to the rear camera on the larger Galaxy S9+.